Very nicely design brick veneer building that includes a covered drive-thru window. There are 15 on-site parking spaces and 1 ADA parking space with access. 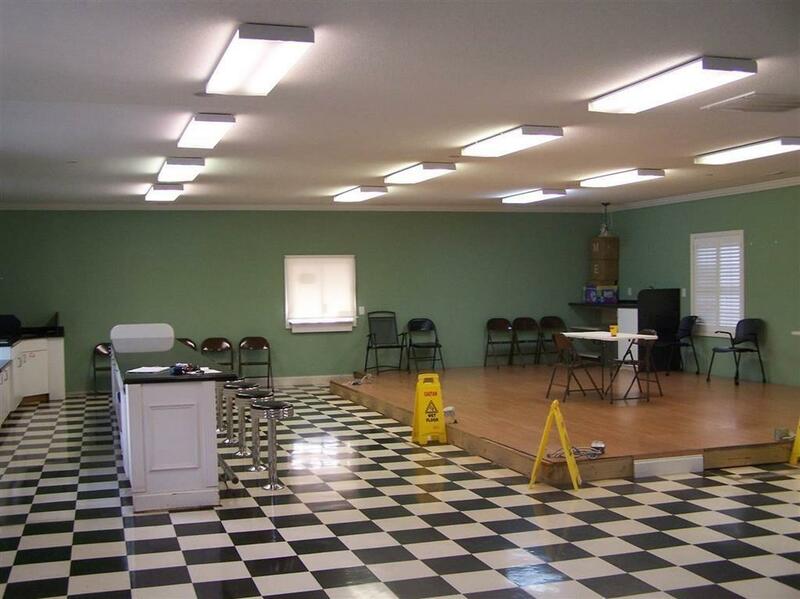 The building has entrances located in the front and rear for client/customer convenience. The main level is spacious with 1984 sq.ft. of open floor plan. There is a 16'x 25' raised platform area. 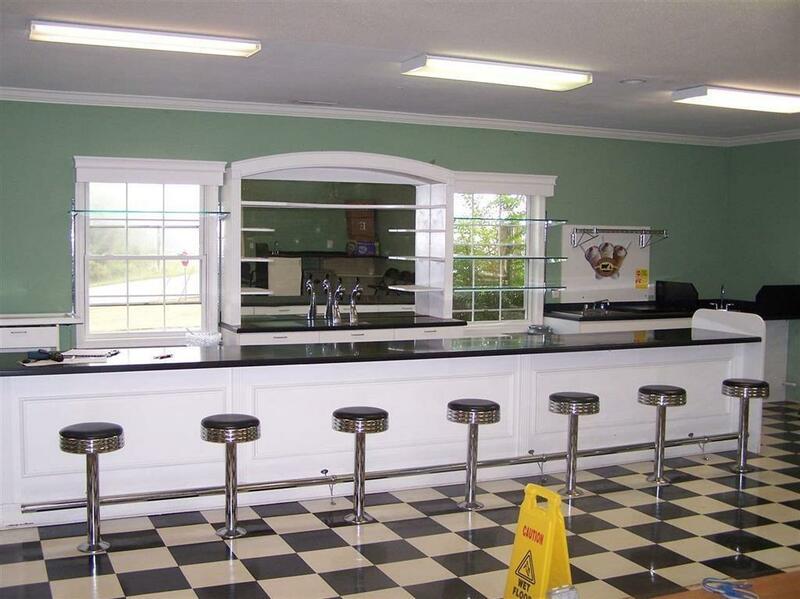 Includes a work space counter as well as a service counter previously used as a soda fountain/ice cream parlor with 7 bar stools and a drive-thru service window. Two ADA compliant restrooms. 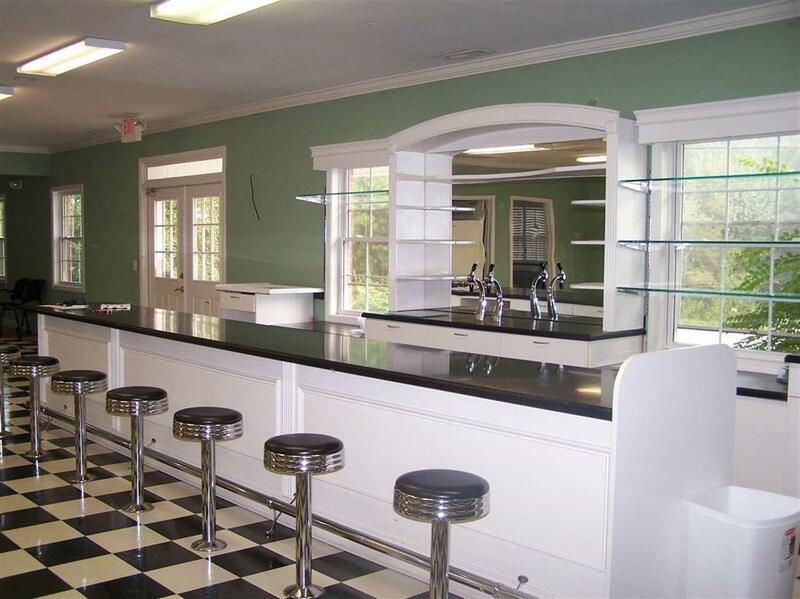 Other open space includes service counter, cabinet storage and sink. There is an outside entrance to the upstairs space. 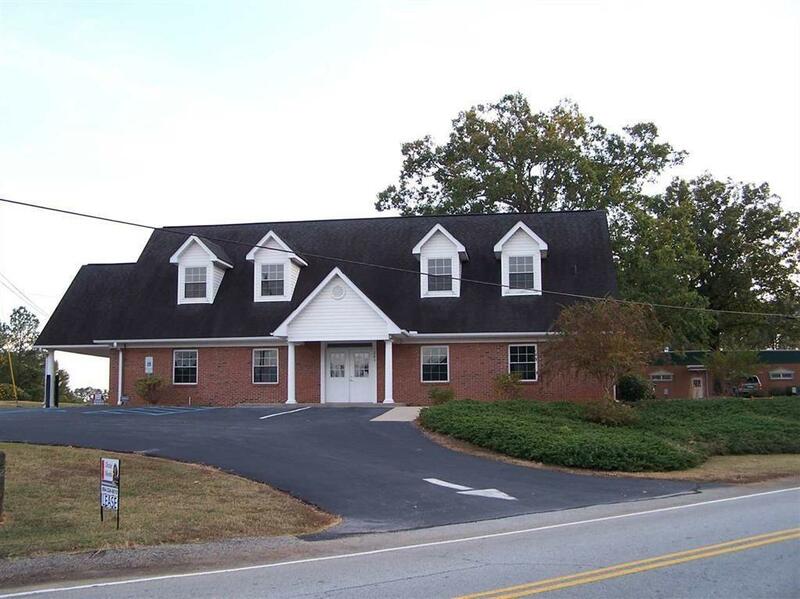 Includes a partial bath, large conference room, one smaller private office and a larger room that could be subdivided to accommodate more office space or storage. Lots of potential.